Our Boston personal injury lawyers would like to take this opportunity to wish you a safe and happy Fourth of July weekend. Each year, countless people flock to Boston to celebrate our nation’s birthday. 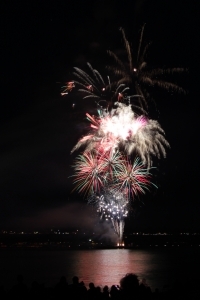 Many will walk, ride the T, or drive down to the esplanade on the Charles River for a day of fun before watching the spectacular fireworks display. There are truly a lot of great activities and a lot of fun to be had. However, with so many people coming into the city, is imperative that everyone does their part to stay safe and injury free. Both drivers and pedestrians can take actions to help prevent injuries. A recent article on CBS Boston shows just one example of a fatal traffic accident involving pedestrians that occurred in this part of town. According to reports, a 28-year-old man and his girlfriend were at the Charles River esplanade before heading down Beacon Street when two cars collided. One of the vehicles rolled from the force of the collision and hit the young couple. He died at the scene and she was rushed to Brigham and Women’s Hospital where she later died. Lanzilotti was an employee of the Red Sox baseball organization, according to a team spokesperson. Boston Police continue to investigate this tragic accident but have not released any findings as of yet. Police are looking for anyone who may have witnessed the accident. People who live in the area told reporters that drivers frequently drive too fast in this area, and that may have contributed to the accident. In addition to motor vehicle accidents, we see an increase in the number of accidents involving public transportation over holiday weekends. With so many people riding the T, there are bound to be accidents. Some common accidents include slip and fall injuries on stairs, escalators, and train platforms, trolley collisions (though rare), and even serious bodily injury resulting from people’s arms or legs being caught in train, bus, or trolley doors. The doors on transit vehicles are not like elevator doors. They will not automatically open if they close on your arm or leg. They will not open unless the operator notices you are stuck and manually opens them. Many people are injured each year in major cities across the country after being dragged by a moving train, bus, or trolley with an arm or leg trapped in a door. If you are injured while riding the T, it is especially important to report the injury as soon as it happens. You should also seek medical attention. If possible and safe to do so, take photographs to preserve a record of what happened the day of your injury. You should also try to get the names and contact information for any witnesses. The more information you collect and preserve, the easier it will be for your personal injury attorney to get you the compensation you deserve.